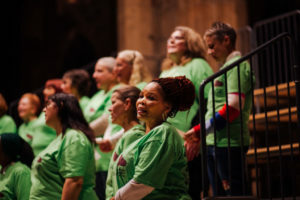 On 8th February 2019, the SAGE singing group were joined by three Sheffield community choirs from across the city. 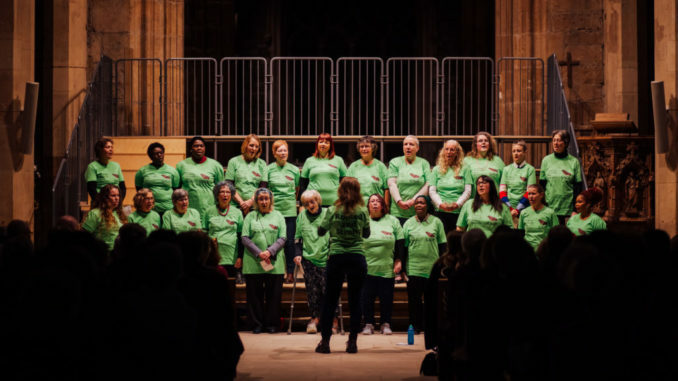 Each choir, Singing Through the Seasons, Purple Cats Community Choir, Carfield Community Choir and Body of Sound sang a range of songs before coming together to perform a selection of songs in unison. 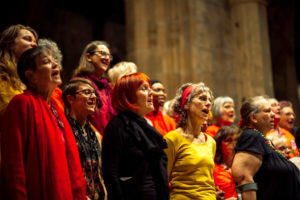 Amongst the singing and comments, the SAGE choir took time to acknowledge members of their choir who were too unwell to attend or sadly no longer part of the group due to illness. 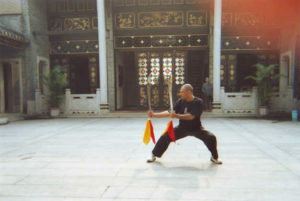 The dedication brought into sharp focus the significance of mental ill health on the group as well as their determination to overcome personal health and wellbeing struggles. The cathedral was the ideal venue for the concert which has been planned for over a year. 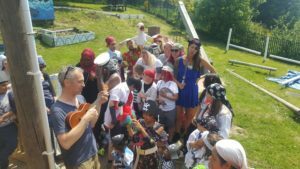 The concert was possible through funding from Postcode Community Trust and the group meet weekly on Mondays during term time at the Welcome Centre. 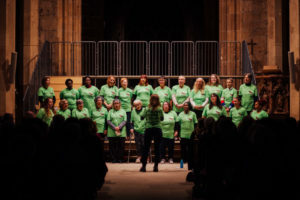 The group have been active in promoting the concert, with a small section of the choir performing live on BBC Radio Sheffield earlier in the year.